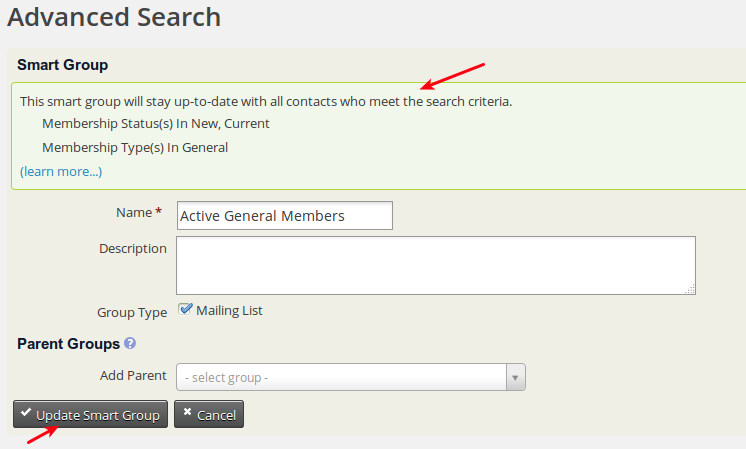 A way of organizing contacts by commons activities or criteria. 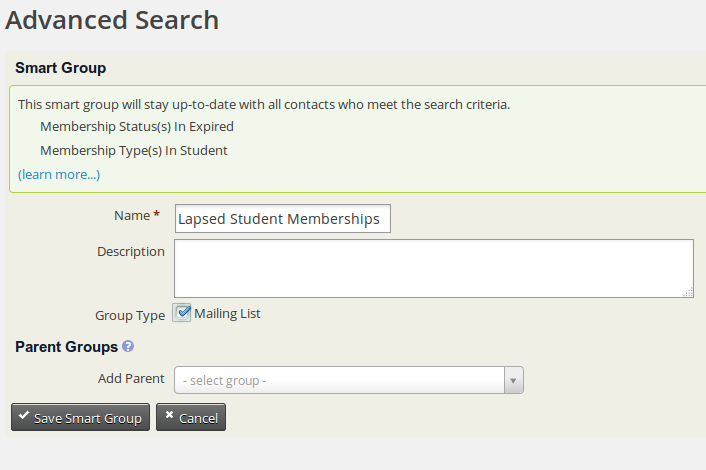 Regular Groups allows you to manually place contacts into a group. 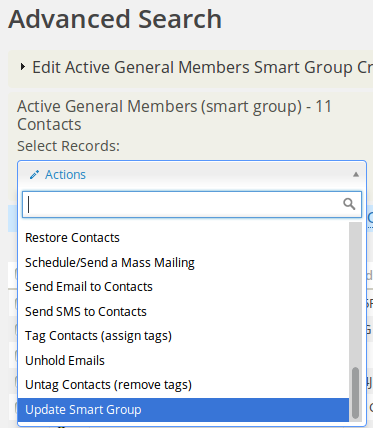 Smart Groups are automatically populated groups that are configured to include contacts that share a certain set of characteristics or activities. 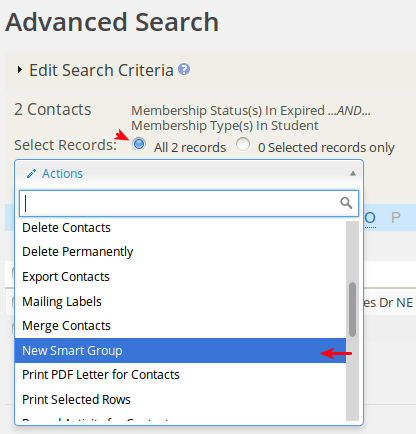 Smart groups are ‘saved searches’. 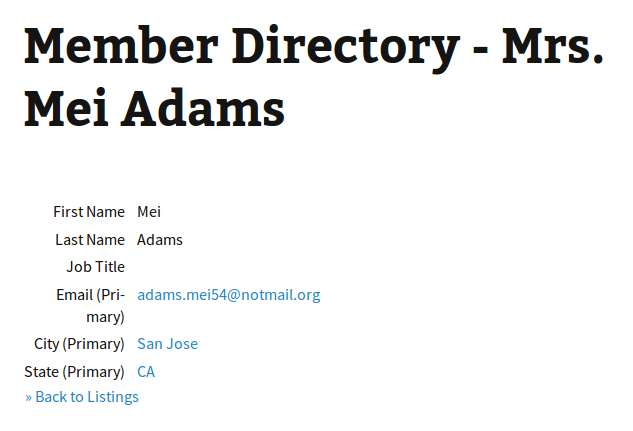 How to create Members Smart Group? 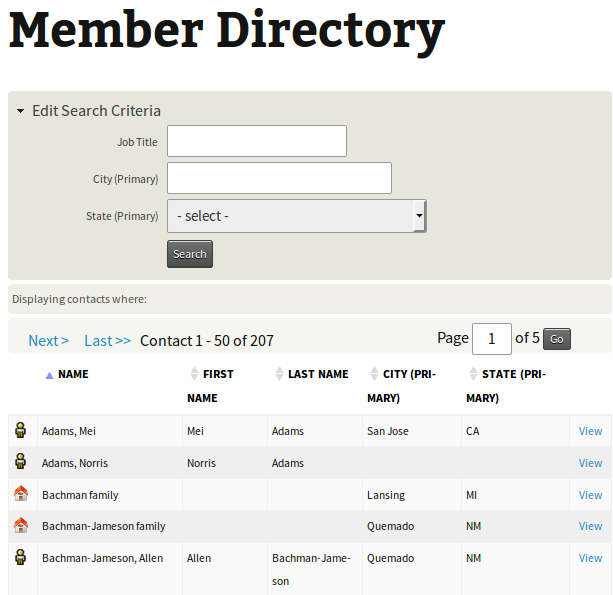 How to create Donor Smart Group? 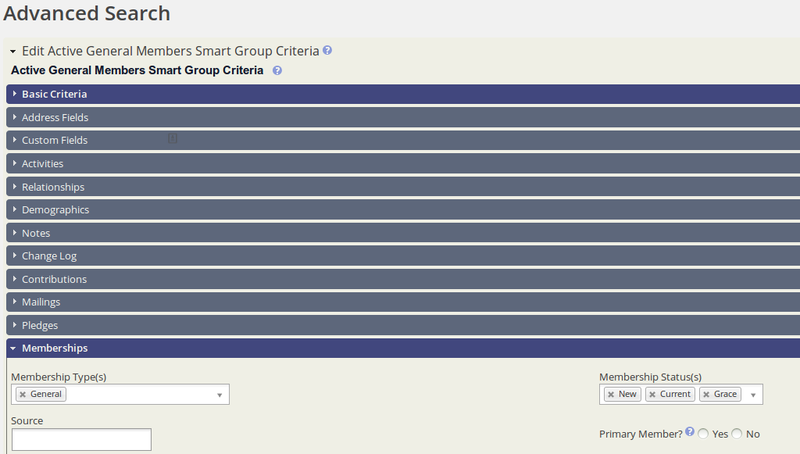 How to edit Smart Groups?